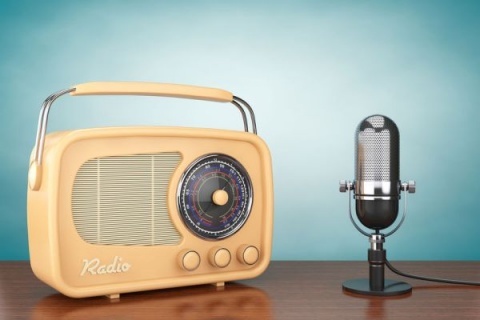 continues to climb with 48 million Americans listening on a weekly basis. Permanent Under-Secretary at the UK’s Foreign and Commonwealth Office, Sir Simon McDonald, and British Ambassadors from ASEAN Member States, met with H.E. 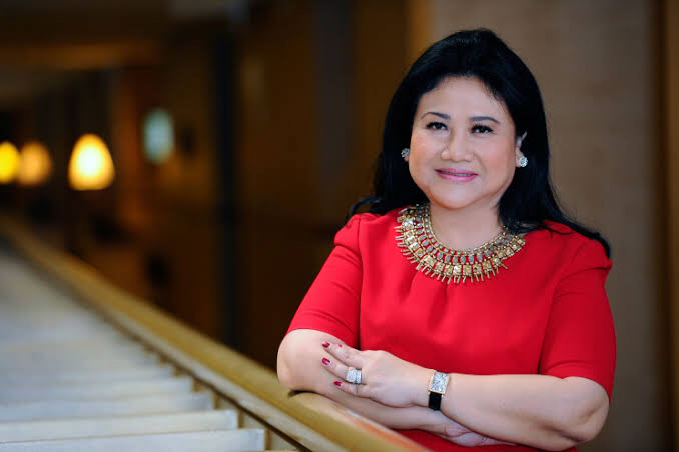 Hoang Anh Tuan, Deputy Secretary-General of ASEAN for ASEAN Political-Security Community Department and H.E Aladdin D. Rillo, Deputy Secretary-General of ASEAN for ASEAN Economic Community Department, to discuss ASEAN-UK cooperation, 10 January 2019 at the ASEAN Secretariat. 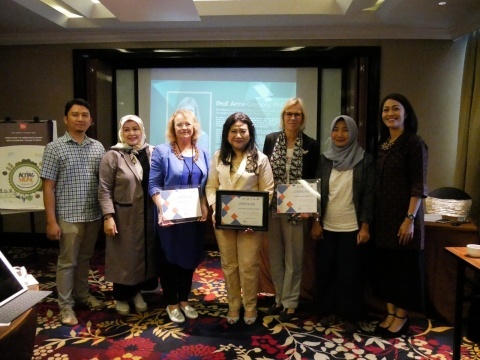 The ASEAN International Film Festival & Awards is back in 2019. 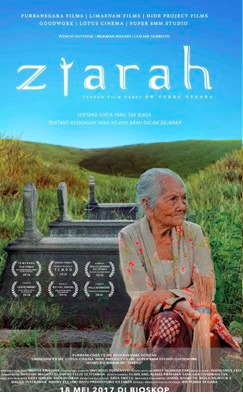 A world-class international film festival to celebrate South-east Asian movies. 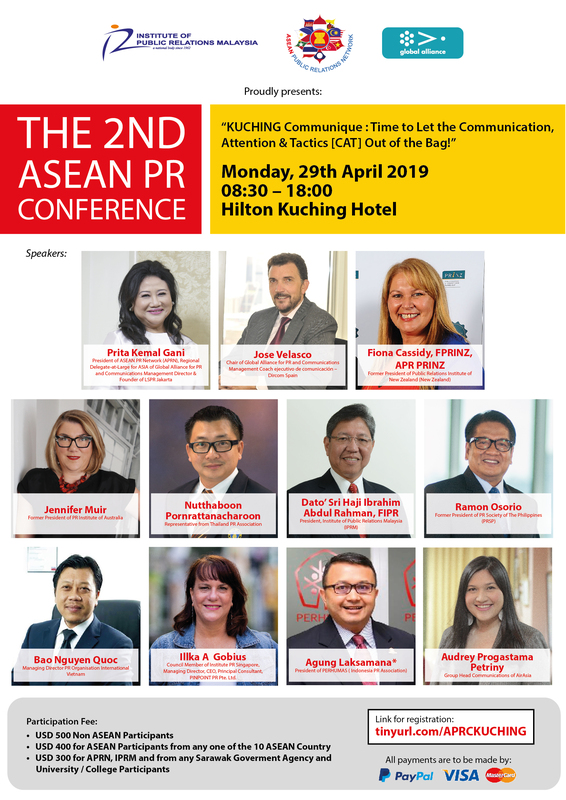 In its fourth edition, AIFFA will be held over Thursday 25th, Friday 26th and Saturday 27th April 2019 in Kuching, Sarawak, Borneo, Malaysia. 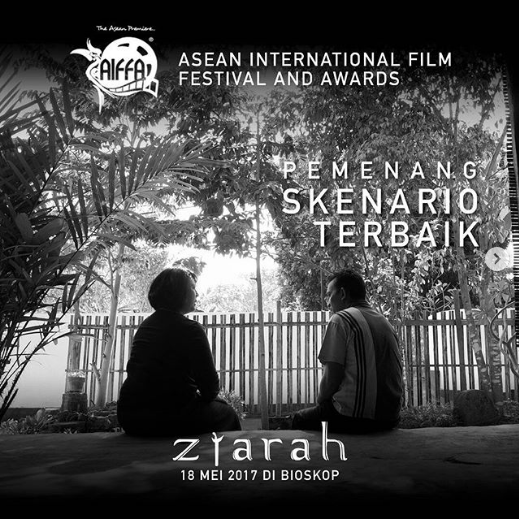 From filmmakers to fans, AIFFA has movie magic and so much more for everyone. This iconic three day, fun-packed event offers visitors the best of ASEAN film screenings, star-gazing and a glitzy Red Carpet Gala Night. Celebrities at previous AIFFA included Jackie Chan, Donnie Yen, Michelle Yeoh, Nora Aunor and many other film personalities who came to enjoy the events and the city. Kuching is the perfect venue for a film festival as it is cultural and serene, picturesque and historic while its people are friendly and warm. 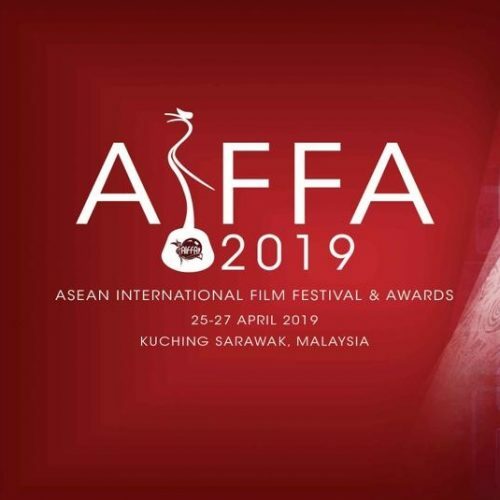 Whether you are a local or a visitor, filmmaker or film fan or just want to soak up the atmosphere, mark your calendar for AIFFA 2019. 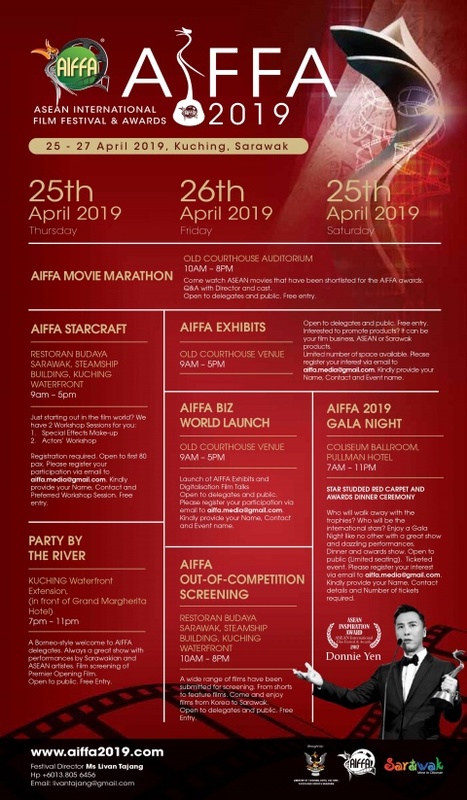 AIFFA is a celebration of our city’s love of the creative arts and is proud to showcase the best in cinematic experiences through this entertaining and inspiring event.